The Audio Interface is finally back! 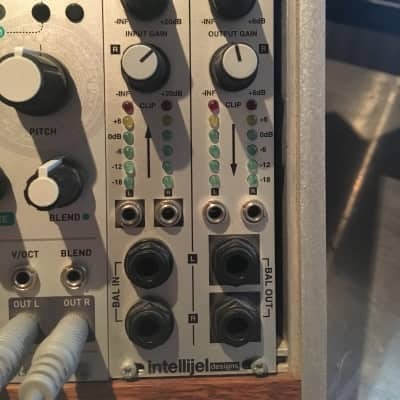 This module allows you to interface your Eurorack modular system to the pro balanced line level world (+4dBu). You can send and return to rack mount/desktop fx units, patch to external line level instruments like synths and drum machines, interface to a DAW and much more. -Uses high quality THATCorp balanced line drivers and receiver ICs. 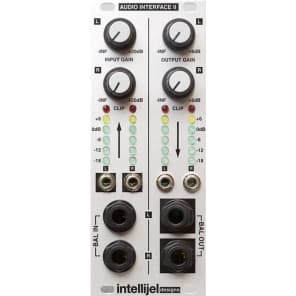 -Output path steps a nominal Eurorack level (10Vpp) down to +4dBu with up to +6dB gain.